The 71 series is a classic Detroit Diesel Engine that has been around since the late 1930’s. This versatile and tough engine is found in many applications, including marine, agricultural, military and industrial uses, or anywhere else hard work is being done. Since this engine is a two-stroke engine, using a Roots type blower, it cannot naturally draw in the intake air, and so a properly function blower or supercharger is absolutely imperative to the entire unit behaving properly. You have come to the right place. 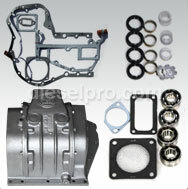 We stock top quality superchargers that are guaranteed to work like they should, for the 271, 371, 471 and 671 engines. Our website is built to be intuitive, so you can spend less time looking up annoying part numbers and searching for the right part on confusing websites. Even if you order the wrong part, we offer easy returns on unused parts. 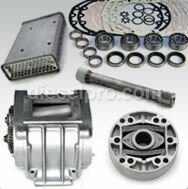 Plus, we have highly skilled associates and mechanics who will help you find the right part quickly. In other words, we want you to spend less time searching for engine parts, and more time doing what you love. Not looking for a supercharger? 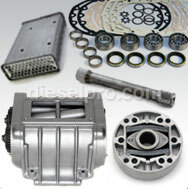 Simply click on the menu above to view all of our products, either by engine type, or by a specific part. When you service the supercharger, it is beneficial to check the entire system to check on other parts, and consider replacing them. 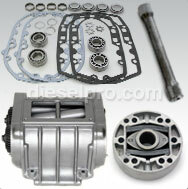 For example, check all of the seals and gaskets. These are inexpensive, and prevent oil from migrating into places where it should not be, such as the combustion chamber. Small pieces also warp as time goes on, so any washers, pins, retaining rods and so on should also be changed whenever possible, especially if you are performing any major servicing, such as a supercharger replacement, these items should be purchased. Last, but not least, check any point where air will pass from the exterior to the interior of the unit. This includes checking the screens, air filters, air cleaners and so on. These areas are exposed to dirt and debris, and so regular changing is highly recommended.